Payday loans can be a convenient way to be some needed cash in your hands that you can repay once you get paid. As useful and positive as this practice may seem on the surface, there are other aspects to this industry that are not as pleasant. Any potential borrower should be aware of the practices of these companies and only take out a loan if they have done their research and really need the loan. Since most of these loans are short-term, they are meant to be paid back quickly and this should be understood when you are thinking about taking this kind of loan. You should know that if you are going to follow through with getting a payday loan, the company you use should be totally legit and reputable. 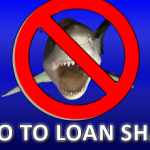 There are plenty of shady loan companies out there that are looking to take advantage of consumers. Look into the company and see what others think about them and how long they have been in the business. If a company has a good reputation over a period of time that shows that they are pretty reliable. Leave companies alone that are known for ripping their customers off and do little to really help them. It is very important to know what kind of fees your payday lender is offering and if they are good or not. Some companies will give you an annual percentage rate that is over 300% and other unreasonable numbers. Learn exactly what charges and fees are going to come with your loan before you decide to take it and if they seem irrational, then keep looking. Since you have a financial need when you take out a loan, then that means you probably do not have a lot of extra income to pay excessive fees and you should not burden yourself even more. In the U.S., some of the payday lender companies have been spending million in D.C. to prevent certain industry regulations that can affect their business practices. The Justice Department and some consumer groups have pushed to create reforms that would change the way the lend money and they are trying to push back. Dozens of politicians have received financial support from some of these companies and they continue to lobby to keep the status quo. Some politicians have been doing their part to help the payday lenders and related industries. There is a pattern that is involved with consumers who take out payday loans that demonstrates what can happen with these practices. A cycle of borrowing and creating more debt seems to affect many borrowers of payday loans that is not good for the consumer. It is not uncommon for a borrower to continue taking loans out with the same company and paying back more and more in interest fees. If you continue to renew the loan you already have, you can end up paying way more back to the company than the original loan was for and that hurts your finances even more. Lenders are sometimes known to go after low-income consumers who do not have great credit scores either. The companies will give out these loans without much hassle knowing that the consumer will likely have trouble paying it back and then more charges can be added on. People with lower salaries and debt will typically take out these kinds of loans and they are not in the best position to pay them back on time. Since these borrowers use the money most often of things that need to be paid regularly, they are likely to come back and get another loan. Each state is different with how they allow payday lenders to operate and 14 states do not allow payday lending at all. Washington D.C. does not allow the practice either and there are certain restrictions on the types of loans and charges that can be offered to active military members. The State of Georgia made payday lending a felony and the State of Arizona has a 36% cap on the APR of a loan. Other states limit how many loans a consumer can have out at once to help keep the cycle of debt under control. There are some alternatives to getting a payday loan out there and they should be looked into before going with that type of loan. A credit union or your bank may give you a loan that takes care of the need you have. You can also keep a credit card that is clear and used only when these situations occur. You may be able to get an extension on a bill if that is what you need and that can keep you free of interest charges. Selling items that you no longer use can be a good way to pay your expenses and clear up some space. These seven things that payday lenders don’t want you to know are just some of the reasons to be watchful and smart when even thinking about getting a payday loan. The alternatives to payday loans should all be explored and considered before a payday loan and taken seriously. Your financial situation is an important one that you do not want to hurt and being a responsible consumer is the best way to protect yourself and your money. If you do take a payday loan, make sure it works for you and you get what you want out of it.